Tuesday has snuck up on me once again. My weekly public humiliation is upon us! 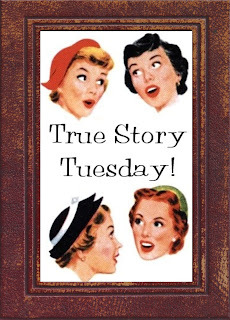 Y’all know it’s time for some True Story Tuesday! You’ve probably already got a contender in your blog archives… one of those crazy no way, really? stories that are repeated at every family gathering. 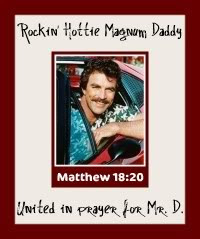 You know… the outrageous, miraculous, hilarious, amazing, and (mostly) true stories??? So go ahead – you know we all could use a little linky appreciation – grab the code from the TST button on the sidebar, throw it into your post, then come back and link up for some comment love. (Please make sure you grab the actual post link so we know where to go). I need something lighthearted today… it’s been an emotional week already and I’m so thankful for the support of our bloggy friends. So I offer this bit of self-humiliation for your entertainment. Y’all remember being 15 and-a-half and what a big deal it was to be approaching that all-important birthday, right? I was thrilled beyond belief to imagine driving. I mean, REALLY driving! I knew I’d be the safest, sanest, most law-abiding citizen out on the roads. So back at the very beginning, I passed my driver’s test with flying colors and was ecstatic to take the wheel on my own. My mother dropped me off at the office I worked at, where my boyfriend was meeting us to join for a celebratory lunch. My boss graciously offered her car for the ride and handed me the keys. Just watch me! I’ll park perfectly between the lines, I’ll signal exactly 200 feet before turning, I’ll merge like nobody’s business! I started that puppy up. Boss in the passenger seat, boyfriend in the backseat… and we set off for the restaurant. Ohmygosh. What was that sound? I know I’m deaf, but there was a sound and the whole car made it! And that sound? It had accompanying (permanent) visual effects too. What was even uglier, was everyone laughing about it – and my boss telling me to go on… go drive to the restaurant. Thoroughly rattled, I drove with white knuckles to lunch, where I promptly hopped a curb. When my parents arrived to pick me up from work, they both looked much amused. I suffered in acute embarrassment at the retelling of my misadventures - my humiliation only deepened at my boyfriend’s kind insistence that “the curb just jumped out of nowhere”… and the helpless laughter that followed. Seriously, can any of you beat that? Having to live down a car accident within 20 minutes of getting your license? With your boss’ car to boot? Yeah, I’m still waiting for the “live it down” part… Thankfully my driving skills have much improved, though I still take Wheeler Road once in a while, for old times sake. This remind you of your own crazy driving stories? Or another situation that led to uncontrollable fits of laughter? We could all use some humor and miracles these days. Link up and we’ll be around with some comment love! I can't quit laughing at the deaf driver, blind passenger remark. I am so glad everything is ok!! That is the best! I don't think I can beat that! I did scrape up the side of my Mom's car once and managed to blame it on some sort of hit and run while being parked incident that I knew nothing about! I don't think I have ever confessed to that! oops! Wow! That's a GOOD one!! It sounds like everyone handled it well, though, including your boss! My Dad would've popped a GASKET!! Thanks for the laugh, I needed that this morning! LOL! :D That's too freakin' funny!!! My parents thought they were smart... I was on the dance line and the uniforms were expensive. They said I had to choose. Either drive or dance. I chose dance, so I didn't get my license until after my 18th bday. However, this means I didn't get Driver's Ed either. Yikes! I got a 70 on my driving test and I think the trooper only passed me 'cause I was fixin' to cry. I bought that car "The Mighty Maverick" for $90 a couple of weeks later. Dang, I loved the Mighty Mav. Oh that is good. I am sorry, but I am laughing so hard. BUT...I don't know...remember when I hit a Drunk Driver? That is pretty sad right there. A story for all first drivers to hear. Oh that is too funny! Good thing your boss had a good attitude about it. Really, though she should have been prepared for such an outcome with a new driver LOL! The deaf driver and blind passenger is SO stinkin' hilarious! And how relieved you must have been that your boss did not freak out that you just wrecked her car. Wow. Oh, and I just saw that I sent a new commenter your way! You're welcome! Hey Mr Daddy and Rachel! Thank you guys both for commenting on yesterdays post. And I gotta say, the time I have been able to spend on your blog today had me laughing my tush off, and also in tears. GREAT blog, and I am looking forward to reading a lot more! So funny. Mine isn't that good but it still qualifies as public humiliation I am sure!! I have been having a rough couple of weeks too can't wait to hear the other stories and laugh it out!! Great story! Love it. I got pulled over on my first behind-the-wheel lesson. Talk about being mortified! OH, too funny!!!!!!!!!!!!!! I love it! I also LOL at that part you described! Luckily, I don't have a good driving story...I did, however, speed and cross the middle line when I backed up in the street though. I think the guy testing me gave me bonus points because I was driving my mom's 3 speed dodge dart (which kinda dates me, lol!) So, I did pass on the first try. Ok, you have me beat. I had my first accident a week later. Here's a tip, if you're a new driver, don't try and eat ice cream and drive at the same time. well...I failed my first drivers test because, while I did everything else perfect, when the teacher told me to drive back to the school, I turned into oncoming traffic. Luckily, the entire street was empty and I wasn't a REAL hazard. THAT was embarrassing. It could have been worse- you could have been in trouble. I'd rather have everyone laugh than demand i pay them for the damage. LOL...you are always so funny....NO, I can not beat that one! LOLOLOL, that must have been something to see!!! That is hilarious. I had a friend growing that also happened to be deaf. Riding in a car with her was always really fun because she had some slight road rage and really like to lay on the horn. Her parents knew this about her. And so they disengaged the horn in her car. But failed to tell her they had done so...are you picturing it? She drove around town honking at drivers who were none the wiser! I definitely can't beat that! That's awful!!! You poor thing-that had to be so humiliating! Oh no! I can't beat that one! My sister, though, backed her car right smack into the side of my dad's pickup truck, in the dirveway. My dad was watching the whole thing from the window. I remember her running into the house bawling, and telling him that it had to be his fault, because "you never park in that spot!"